Currently just under 85,000 planes use the airport each year. It has permission for over 110,000. The CAA is required to review the concentrated flight paths in February 2017. 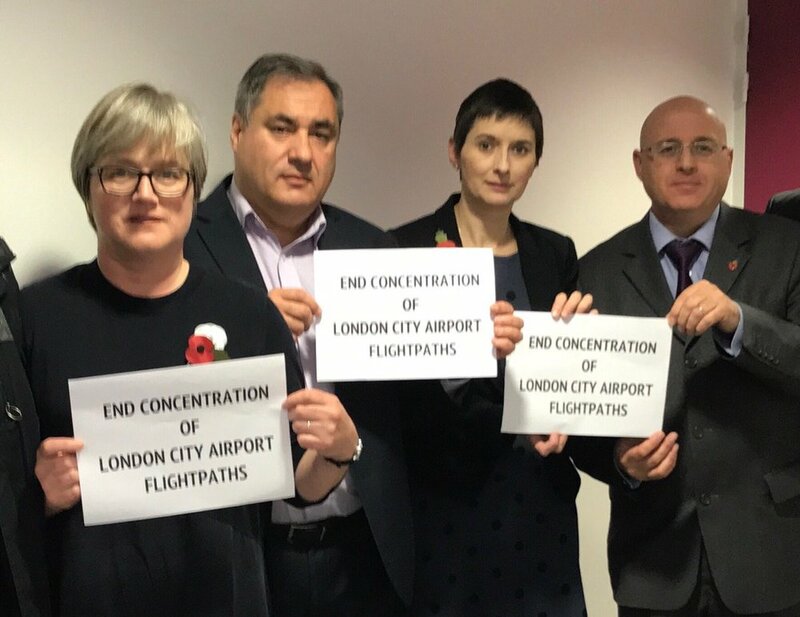 HACAN East will try to convey to the CAA the distress these concentrated flight paths are causing residents and press the CAA to find a way of giving communities a break from the noise by finding a way of sharing around the flight paths. Let your MP and local councilors know how you feel: you’ll find the many of them share your concerns. Let the CAA know how you feel: infoservices@caa.co.uk. London City Airport wants to expand. 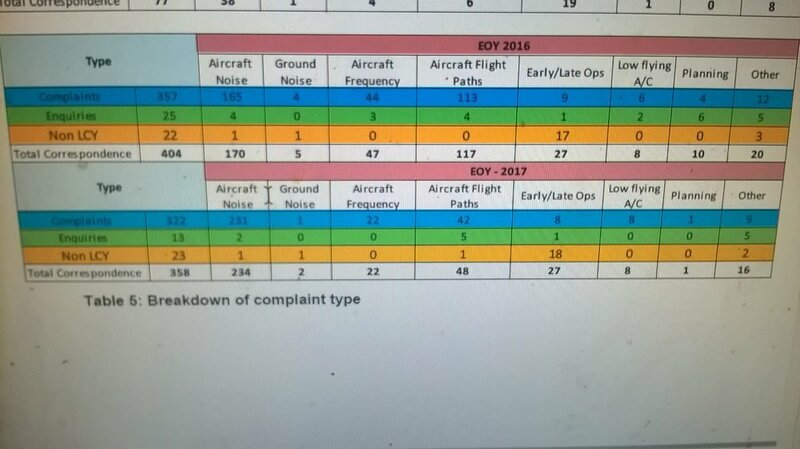 It is not seeking to increase the total number of aircraft which use the airport. But it wants to bring in bigger planes so that it can start to serve places like Moscow or Istanbul. At present most of the destinations it serves are in Western Europe. In order to cater for these larger planes, it wants to expand the taxiway and to create more space for aircraft to park and the airport. As the bigger aircraft will bring more passengers, it also wants to increase the size of the terminal and to create more places for cars to park. A Public Inquiry into these expansion plans finished in Match 2016. The Government will announce later this year whether it will allow expansion. A lot of Heathrow aircraft pass over North East and South East London. They are higher that the City Airport planes but can be very disturbing. They also start earlier, with the first plane landing at Heathrow at 4.30am. Heathrow Airport would like a third runway. It would increase the number of planes using Heathrow by around 250,000 a year. Our sister organisation, HACAN, is leading the fight against a third runway – for details, see www.hacan.org.uk. 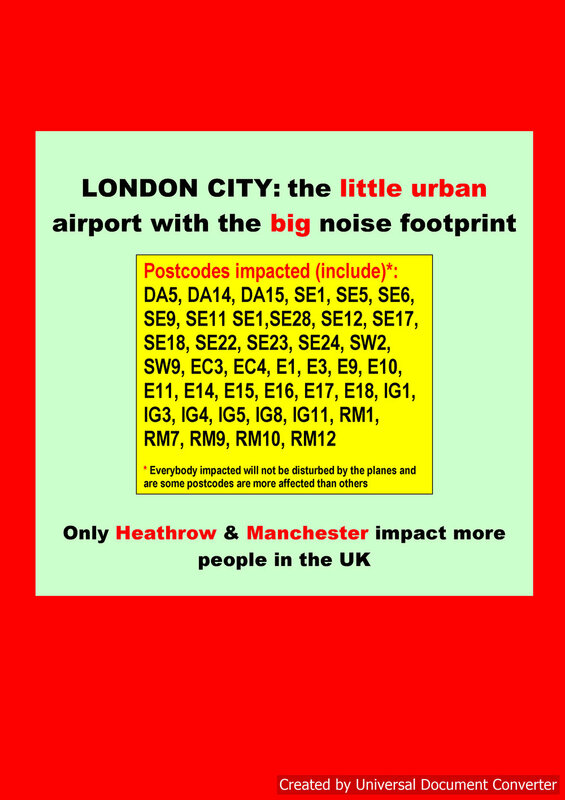 Heathrow, unlike City Airport, is looking to try to vary its flight paths in order to give people some respite from the noise. However, that could still be a few years away.